BATON ROUGE, La. – No. 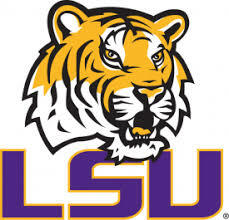 9 LSU scored in back-to-back innings on an infield single and a wild pitch to take a 2-0 shutout victory over South Alabama Wednesday night in Alex Box Stadium, Skip Bertman Field. LSU improved to 21-9 on the season while South Alabama dropped to 13-15. The shutout was the Tigers’ second in two days, as LSU blanked Grambling, 9-0, on Tuesday night. The consecutive shutouts marked the first time LSU blanked opponents in back-to-back games since the 2017 SEC Tournament, when the Tigers posted 10-0 and 11-0 wins, respectively, over Kentucky and South Carolina. The Tigers are back at The Box on Friday night at 7 p.m. CT for the first game of a weekend series with Texas A&M. The game will be streamed on SEC Network +, and fans can listen to the game on the LSU Sports Radio Network. Sophomore right-hander Ma’Khail Hilliard worked three perfect innings as the starter and recorded five strikeouts in the effort. Trent Vietmeier (2-0) a sophomore right-hander, tossed two relief innings to pick up the win. He allowed three hits and recorded a strikeout to end the seventh inning. Right-hander Matthew Beck pitched two innings, allowing a hit and a walk; right-hander Todd Peterson pitched one inning, and Devin Fontenot earned his second save of the season by working a scoreless ninth with a strikeout. South Alabama’s Andy Arguelles (0-1) suffered the loss, as he pitched 1.1 innings and allowed one run on two hits. The Tigers put up the first run of the game in the bottom of the seventh inning. Right fielder Antoine Duplantis rolled an infield base to score designated hitter Cade Beloso from third base to give LSU a 1-0 lead. A wild pitch in the eighth brought another run across the plate for the Tigers. Third baseman Chris Reid, who singled earlier in the inning, was able to score from third. Duplantis lined a single to center in the third and then hit the infield single in the seventh to increase hits career hits total to 308. He stands fifth on the LSU career hits list and is just two shy of tying Todd Walker (1992-94) for fourth place.